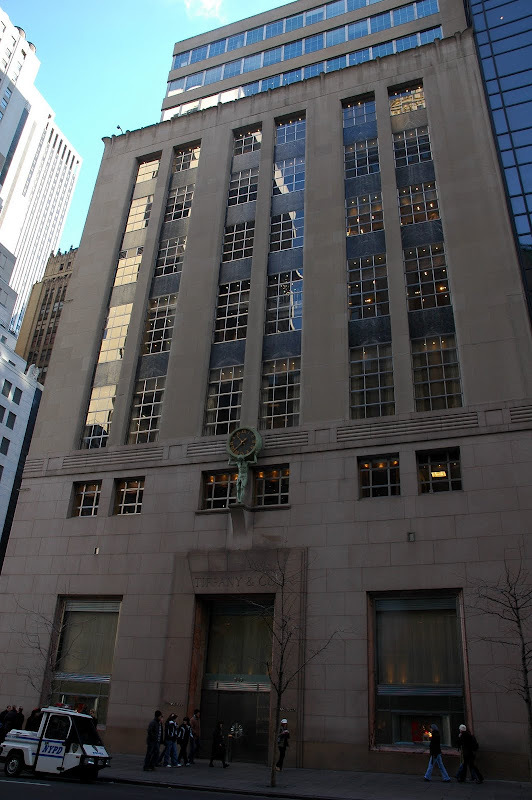 The story of Tiffany & Co is a quintessential American success story. And it's a fabulous one. Tiffany & Co was originally founded in NYC as a Fancy Goods store by Charles Lewis Tiffany in 1837. In the beginning, the store carried many luxury goods and jewelry imported from Europe. Over time, Charles Tiffany grew his store from its beginnings as a distributor of European fancy goods to one of the world's most prestigious jewelry makers, a position previously dominated by the French, English and European jewelry houses. 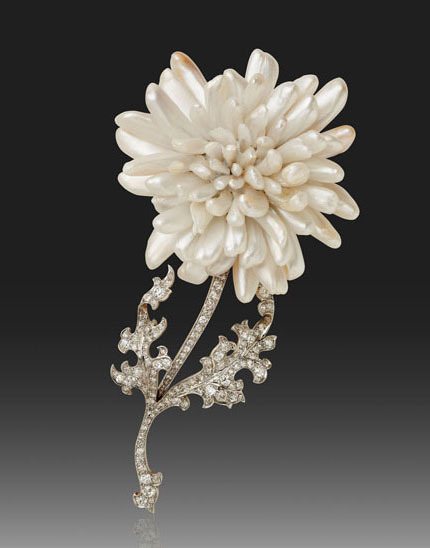 What I found most appealing was not so much that Tiffany became a worldwide success during the Gilded Age of America, but that Tiffany grew to prominence by incorporating American minerals and pearls and by developing American skills and craftsmanship, relinquishing its dependence on Europe. And the creativity! Tiffany aligned its store with talented designers and artists and promoted the arts in NYC as part of attracting wealthy clientele. Tiffany also introduced the use of colored stones such as aquamarines and pink tourmaline in combination with diamonds...a mixture not typically practiced in courtly Europe. In the mid-19th century, Lewis Tiffany opened a store in Paris which gave Tiffany & Co. a presence on European soil; first as a friendlier place for Americans to purchase the finest European jewelry; and later, embedding the company in the heart of European commerce and industry. 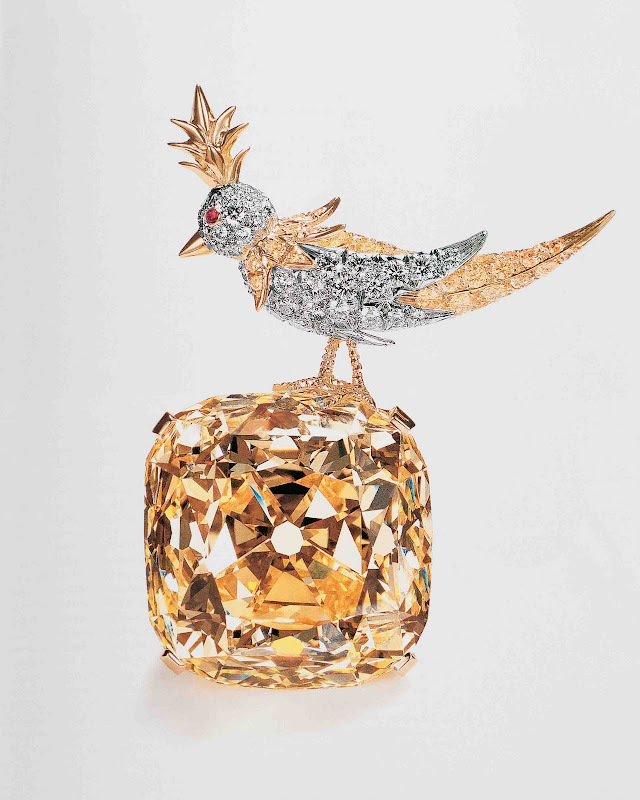 Due to the revolutions in 1830 and 1848 in France, the price of diamonds plummeted and Tiffany took advantage by buying up as many diamonds as they could find capital for. Additionally, they were the most significant buyer of the French Crown Jewels in 1887 and became one of the dominant displays at the Exposition Universalle in Paris in 1889. Tiffany was known for its magnificent and glittering diamond displays that drew large crowds and left the competition dim by comparison...and from an American jeweler. 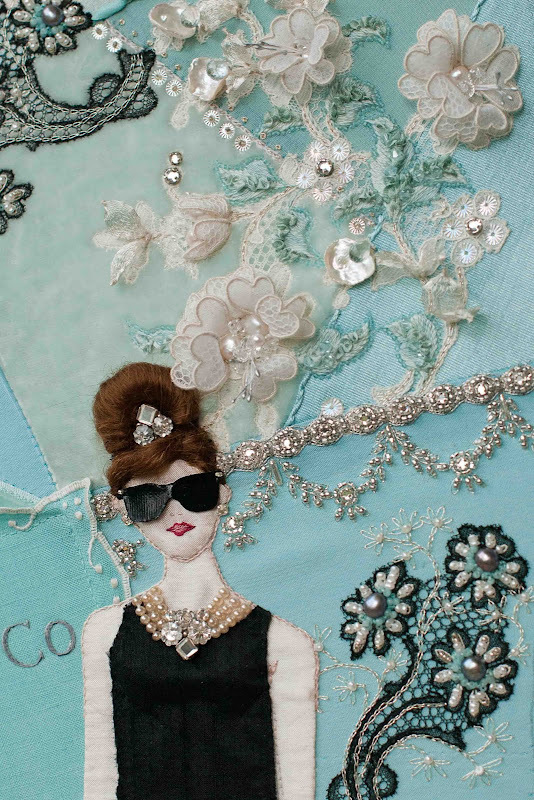 As a tribute to Tiffany's heritage, I wanted to incorporate "mesmerizing", "dazzling" and "glittering" into my Breakfast at Tiffany's block. It's fabulous. I soaked up every word, every image. In fact, to me, the designs began to look like seam treatments. 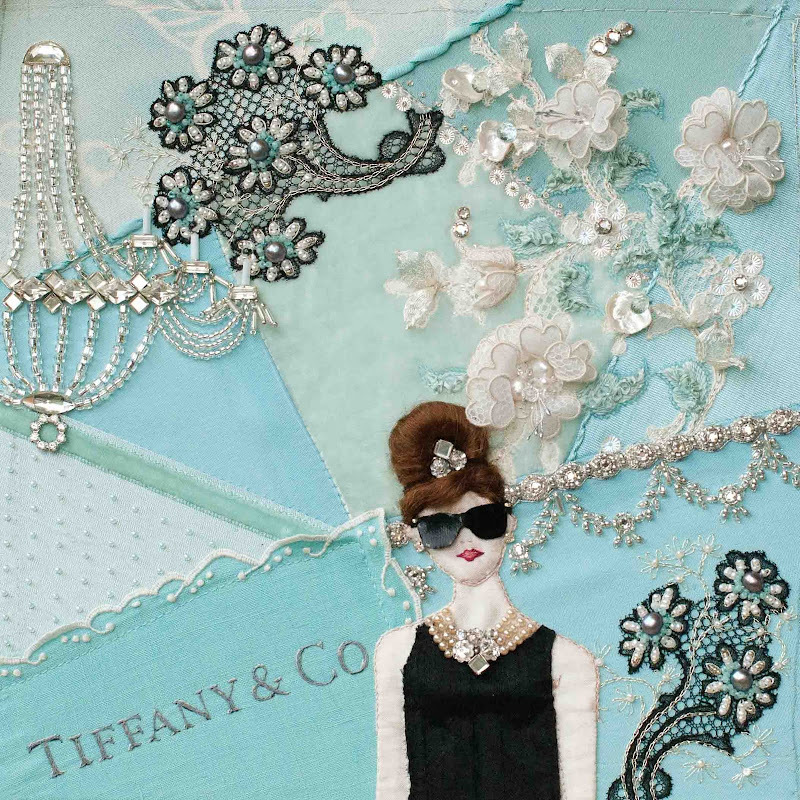 I decided to make at least one seam treatment on my block inspired by one of the Tiffany jewelry designs. I used YLI silver machine embroidery thread for the background...and 15/0 white gold and silver-lined crystal seed beads, and tiny 2mm crystal rose montees as an attempt to capture the feel of the necklace garlands on my seam. Having studied the history of Tiffany & Co., I am just as enamored of the American-born and bred company as my friend, Holly Golightly. Isn't it great?! It's often on display at the 5th Avenue store in NYC so maybe one day I'll get to see it in person. Soooo....here's where my block stands today. It's getting there. I have about two more significant elements to work on. One will be gloves, an arm and a coffee cup for Audrey and I have no idea how I'm going to pull that one off. That plus a few seam treatments and the addition of tiny details should get me very close to finished. I sure will be sad when it's all over. Your block is absolutely marvelous! Thank you for sharing the story of Tiffany's development and the creativity of its designers. Somewhere along the line you may have said this, but what are you planning on doing with this block? Once again you dazzle us with not only your stitches, but the interesting history of the subject that inspired you! Audrey Hepburn was always one of my favorite actresses as I grew up. I loved watching the "old" movies on TV. She was a pretty amazing woman in the real world too. Thanks also for a little bit of history. My grandmother was born in 1884 and I love finding out a little bit more of what the world was like in her era. Dazzling indeed! Your work always makes me sigh because my eyes are so happy! 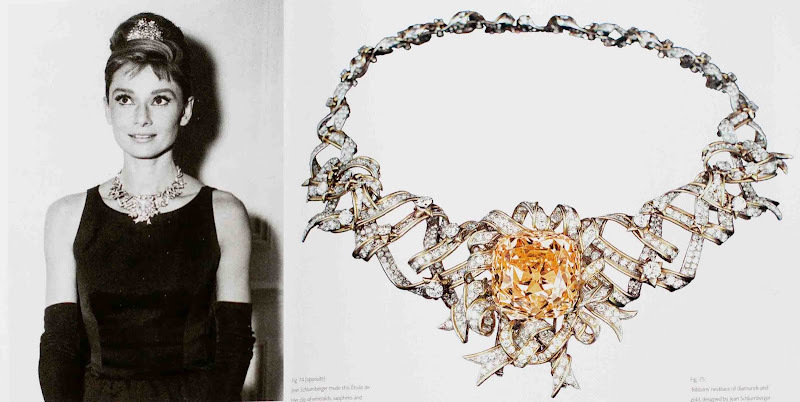 It is all about Audrey and Tiffany's. I use to go to work with my mom in Manhattan and past Tiffany's all the time... not realizing what it was. Love the photos. I just love the way you take us on a journey and grant us a peak into your inspiration! *Propping mouth shut. * I LOVE your seam treatment. Wow! Susan, every time I think you couldn't possibly outdo yourself, you do. I love it, love it, love it. Thanks for the peek behind your design process. How fun! Great job and a huge pat on the back. Your work is such a delight. Thank you for adding a sense to your embroidery, this makes it even more interesting. I have been dazzled by the detail you have put into this piece. Each part carefully considered. 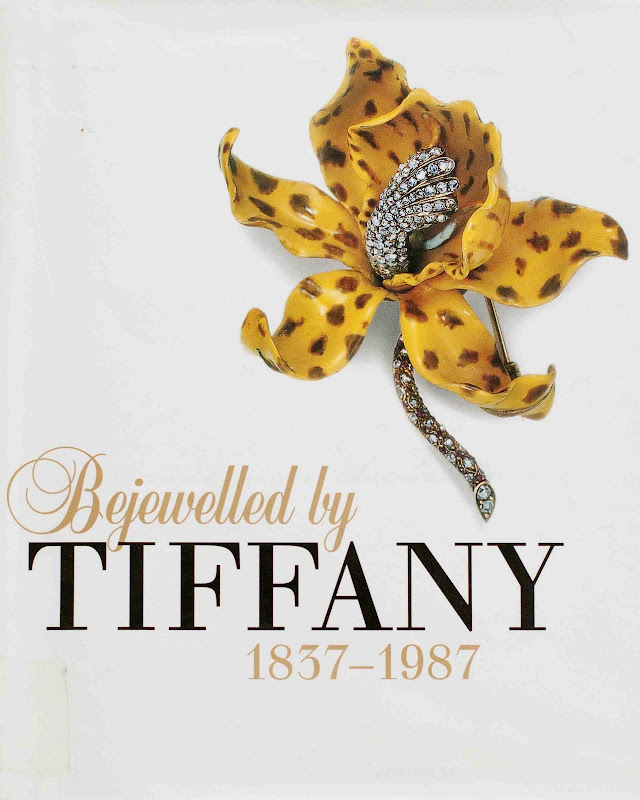 I saw the Bejewelled by Tiffany exhibition at Somerset House in London 2006 (it only seems like yesterday) and I was in awe of the craftmanship and beauty then. You have reawakened that time and it brings back fond memories. Thank you. You never cease to amaze me!! I think the reason why is due to that fact that your love for your project "topics" just shines through! Can't wait to see how you complete this one! 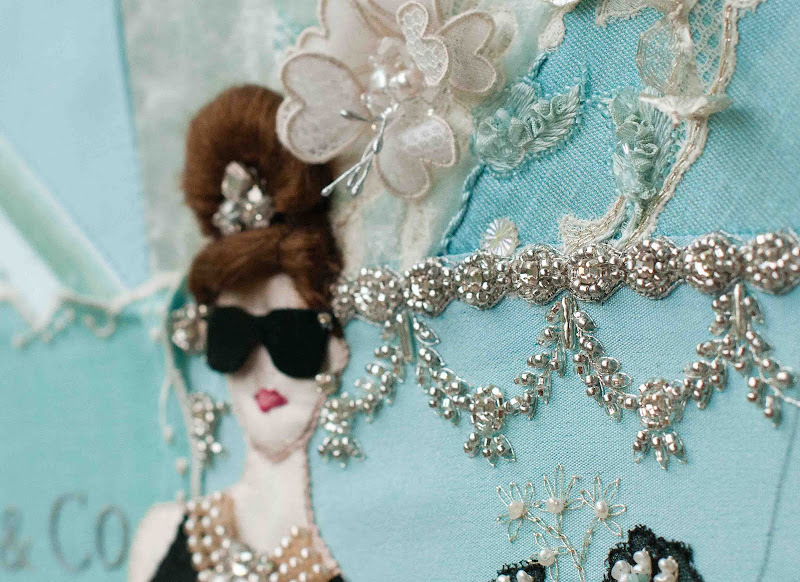 Your dedication to studying all things Tiffany and Co. is apparent in your beautiful stitching and details. This seam detail of the necklace treatment is exquisite. I am in awe of your handwork. Wow! Absolutely gorgeous! I love the fact you did so much research to make your piece unique. You capture the flair and magic of Tiffany. You always have such interesting post, Susan, not to mention your fabulous stitching. This block is amazing! I'm sure glad you are keeping it! Didn't you already do a cup on your Alice block? As for gloves, maybe you could use ultra suede and then applique them? I can't wait to see what you come up with though! You continue to dazzle me with your amazing attention to detail and the beauty of your work!!! BTW, if you know of anyone who was liking my sun prints I am now selling them in my Etsy shop!! You have not only gone into great detail in the piece but so much research to make sure everything is just right. It is even more special knowing all that you have put into the piece. On my 25th anniversary my husband presented me with a blue Tiffany's box with a small heart necklace. It is wonderful knowing Tiffany's history. Your block is stunning. 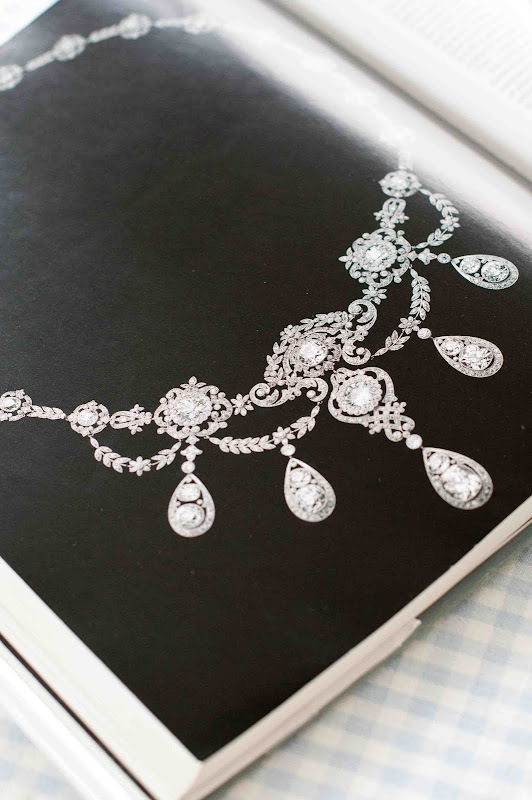 Your expertise with beading is evident, and is a delight to see. Thank you so much for sharing this beautiful work with us, and for the interesting story of the rise of the Tiffany jewellery stores. What an interesting history of the store. Those baubles are just glorious. Don't you wish you could try one on? Your work has so much love and joy in it Susan. I find it incredibly uplifting to come to visit you here. You are simply amazing. I've been following your blog for about a year now. Your work leaves me speechless. What a wonderful wonderful talent and imagination you have. Linda S from West Chester PA. The necklace-inspired seam treatment is really dazzling. Wonderful! The French Revolution was before Lewis Tiffany's time. He started buying diamonds from French aristocrats who fled after Louis Philippe I was forced to abdicate in 1848. Your block is definitely destined to become an American classic, too! 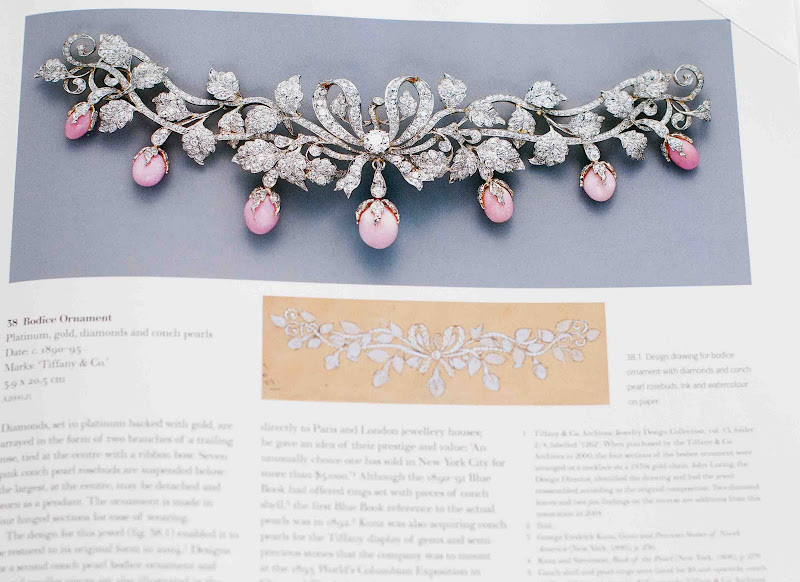 And your stupendous work should at the vey least warrant a footnote in the next edition of Bejewelled by Tiffany!! I am waiting with bated breath to see your next addition! Wonderful post Susan. Great story and it is so fun to see where you are drawing your inspiration. This block will be sensational. Well spotted about the necklaces looking like seam treatments!! Love this idea!